In recent years, CSS has gained its important. Cascading Style Sheets offer several advantages you don’t have in table based web layouts. 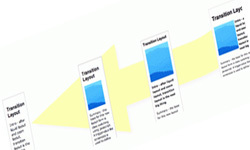 The design of web pages can be easily changed, just replacing a CSS file with another one. Web developers have written many articles regarding CSS and developed numerious useful techniques, which can save you a lot of time – of course, you should have tie for finding them. Below you will find a list of CSS techniques, that are essentials and infact make our life easier.